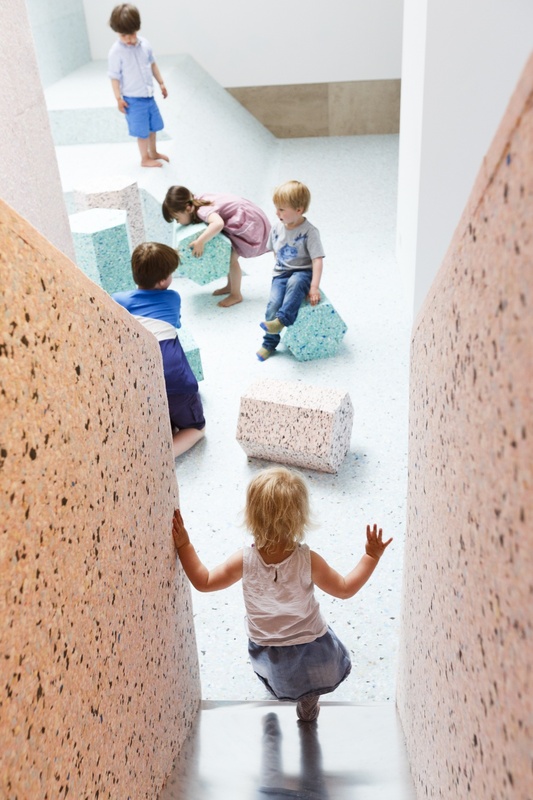 The RIBA – Royal Institute of British Architects – has revealed an installation, which can be interacted and “played” with by the public. 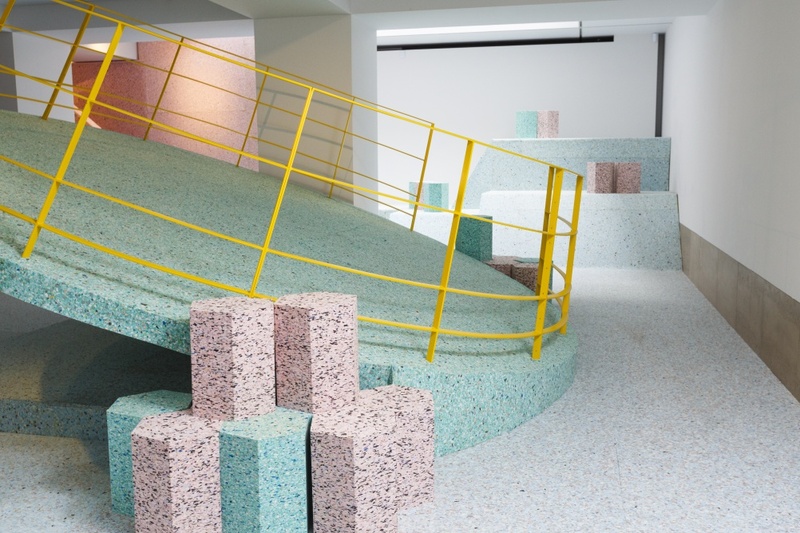 The Brutalist Playground is an “immersive landscape”, says the RIBA, created by design and architecture collective Assemble and artist Simon Terrill. 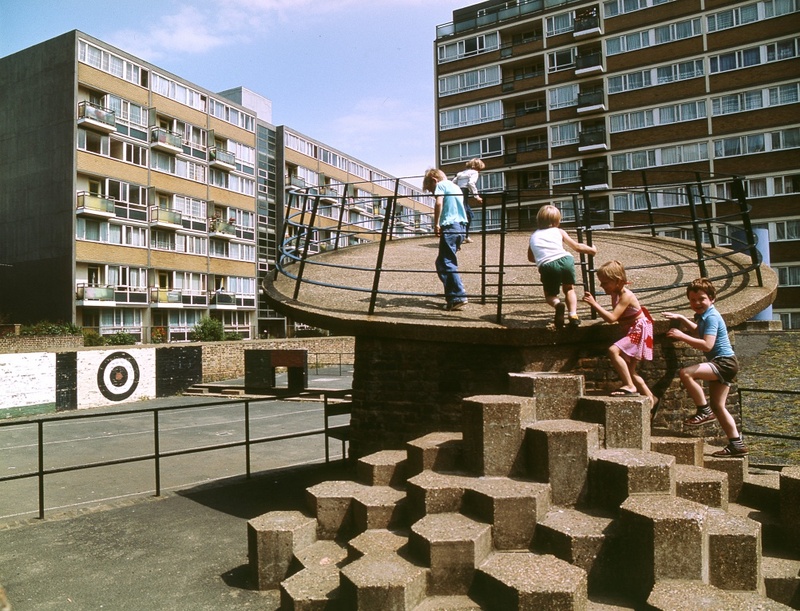 It is inspired by post-war concrete playgrounds based in London housing estates in the mid 20th century, such as Churchill Gardens in Pimlico, and the Brunel Estate in Paddington. 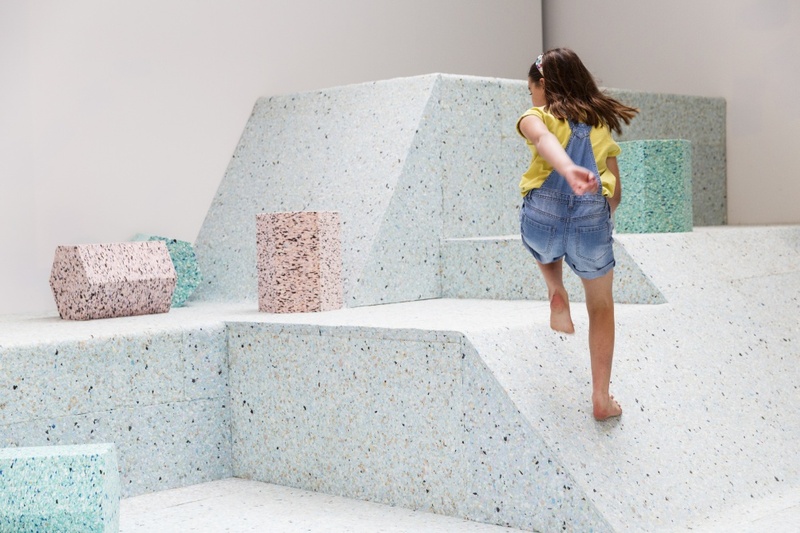 The designers have recreated elements of these concrete playgrounds using reconstituted foam to create an “interactive, contemporary space where the viewer becomes participant”, says the RIBA. 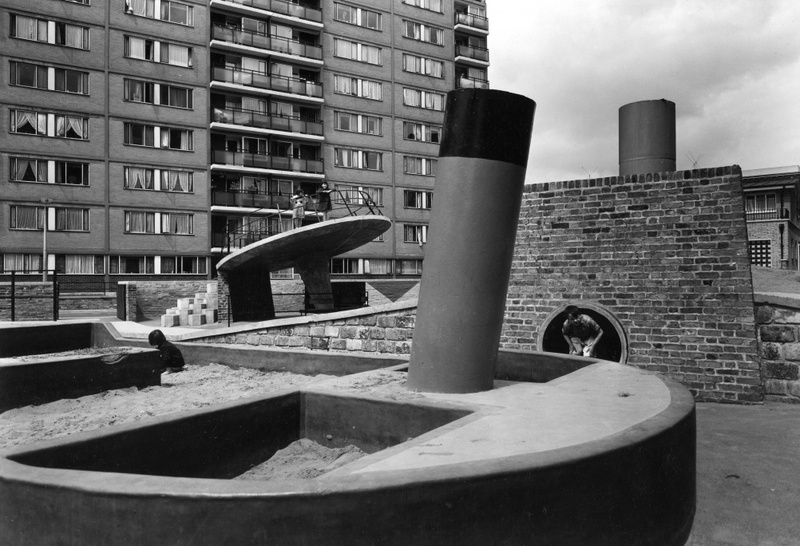 Archive images of the original playgrounds will also be projected on the walls. 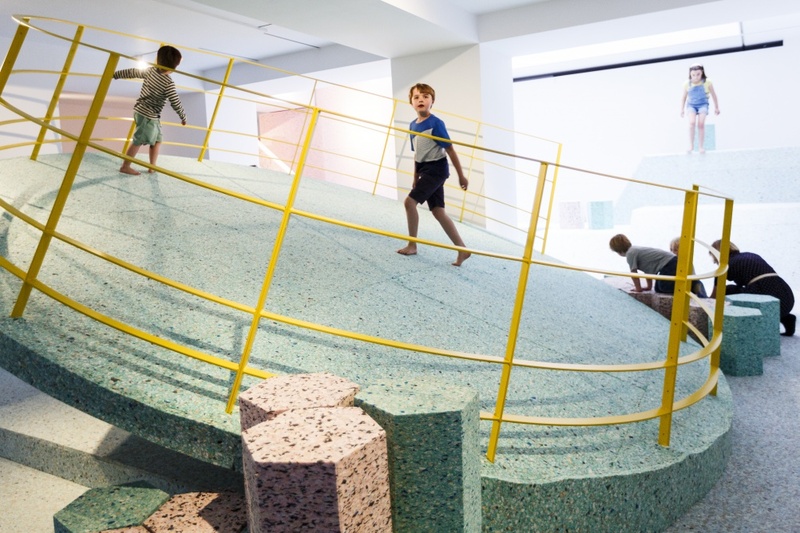 The Brutalist Playground is part of the London Festival of Architecture, and is based at the Architecture Gallery at the RIBA. 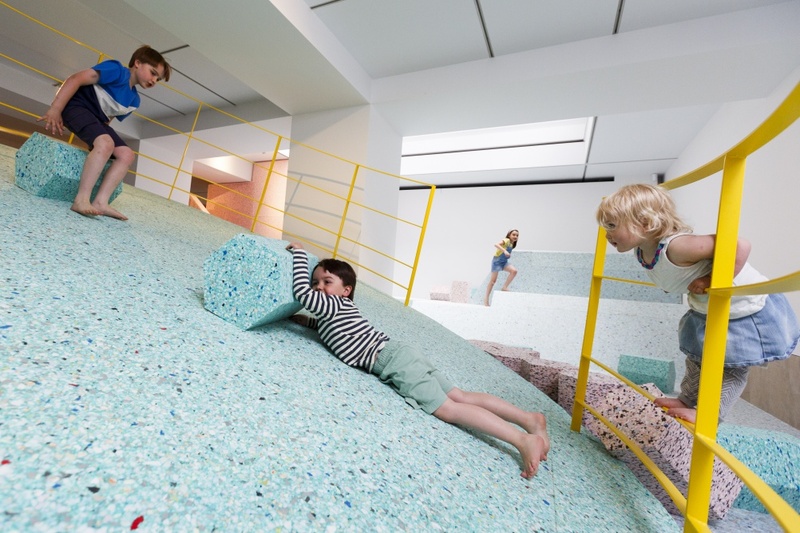 All images © Tristan Fewings and Getty Images for RIBA. Churchill Gardens Estate. © John Donat – RIBA Library Photographs Collection. Churchill Gardens, 1956. ©: John Maltby – RIBA Library Photographs Collection.